Is your project management getting a little out of control? In today’s ultra-competitive business environment, fast-paced, large-scale projects are becoming the standard. The problem is, many project managers don’t have the assets to effectively plan, manage, and track all the components that come with these complex projects. With limited visibility into scheduling, resources, and overall progress, project managers require a more advanced toolset to effectively take control of these responsibilities to ensure the project stays on track. Fortunately, a solution exists that is purpose-built to help project managers maintain control of every aspect of the project throughout its entire lifecycle: Oracle Primavera P6. Oracle Primavera P6 stands out as one of the most easily recognized and useful tools in effective project management. Oracle Primavera P6 gives unparalleled control, monitoring, and insight to planners, project managers, schedulers, employers, stakeholders, and any others who are involved in a given project. As an Oracle Platinum Partner, we’ve rounded up all the details you need to know. Read on to learn more about this advanced toolkit, and see if it’s right for your project management needs. What Is Oracle Primavera P6? 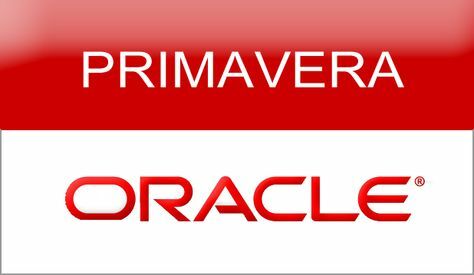 Oracle’s Primavera P6 is one of the most powerful and comprehensive project management tools available on the market today. Simply put, Primavera is a project management softwarespecifically designed to help manage complex projects. It’s role-specific functionality helps organize projects in a way that satisfies each team member’s needs, responsibilities, and skills. Primavera P6 is not a single product, but a suite of products that helps manage a project over its entire lifecycle. You can use it to help manage risk versus reward, resourcing, and budget, among many other deliverables. With Primavera, organizations can be able to better execute amid economic uncertainty, respond quickly to unexpected changes, and create value for their organizations and stakeholders. Professional Project Management (PPM) – This is a standalone, non-web based solution used to manage primarily smaller-scale projects (but is capable of managing up to 100,000 activities). Users can access the software from any machine it is loaded onto. Enterprise Project Portfolio Management (EPPM) – This is a 100% web-based tool to help enterprises manage large-scale projects, or multiple projects at once. Because the tool is accessible from any location with internet access, you can access data wherever you are, and share with partners without requiring them to download the application. It also provides helpful visual aids such as graphs, charts, and pivot tables to allow managers to gain a comprehensive view of project status quickly. This cloud-based solution also allows for more data storage for users than the traditional Professional P6 tool. While many people tend to think of Oracle Primavera as a scheduling-only tool, its features give project managers the ability to do much more than that. Risk & Opportunity Management – Oracle Primavera P6 helps project managers conduct initial and recurring risk and opportunity analysis within the schedule. This further helps project managers identify when risks may occur and how drastically these risks may impact the project’s schedule and baseline. Resource Management – Within Primavera P6, project managers can closely monitor the usage of resources and generate forecasts of changes in resource availability. Furthermore, Primavera P6 helps project managers identify what other resources may be diverted to keep the project on track. For EPPM users, you can take advantage of visualization tools within the program that transform raw data into easily understandable and shareable graphics. Contract Management – Primavera allows organizations to maintain control over multiple tasks across several projects or programs. When a new project closely mirrors a previous project, project managers can copy information from the Oracle database in seconds. As a project manager, keeping your projects moving in the right direction is both your primary goal and biggest challenge. Managing a project with hundreds of individual variables can be difficult to keep track of. Fortunately, the features listed above work to help project managers take control of their tasks and identify errors early on, before they derail the entire project. Breakdown of Complex Projects – The size of a project can be overwhelming. Oracle P6 allows project managers to break large projects into smaller, achievable projects, tasks, and activities. Increased Visibility – Visibility and compliance with political and environmental regulations are among the top priorities for project managers and business executives. Since Oracle Primavera P6 allows all data to be entered, tracked, and analyzed in one location, you can ensure your project does not pose any possible violations. Mitigate Risks – When your schedule has inconsistencies, errors, or overrun issues, project expenses will grow. This could mean cutting more vital aspects of the project to compensate for the excess costs. Using Primavera P6 helps identify and mitigate risks in the course of planning, managing, and completing a project. Enhanced Communication & Collaboration – Primavera P6 enables executive-level staff to communicate with other workers, project managers, and planners easily. Furthermore, notes can be made to the schedule in the software to ensure all users see the message. Predict Unplanned Project Activities – As a project evolves, the project may require additional resources, activities, and tasks to meet stakeholder demands. Within Oracle Primavera P6, project managers can create forecasts for resources, activities, and other project needs. Optimize Resources – Primavera P6 allows all involved in a project to carefully monitor resource availability and adjust such resources to meet project demands. Furthermore, the software can help identify areas where resource costs may be reduced by analyzing resource trends and costs. With all of the benefits that Oracle Primavera P6 provides, you may be wondering why you haven’t implemented the software already. The good news is, one of the major benefits of Primavera is the way in which it can be seamlessly integrated into other enterprise software that you may already be using, like solutions from Oracle or SAP’s enterprise resource planning system. However, the bad news is that If Oracle Primavera isn’t implemented properly, it may actually do more harm than good, depending on the situation. Only through the careful and correct implementation of Primavera will you be able to leverage the wide range of valuable features it brings to the table to your advantage. Poor implementation can result in consequences like expensive rework, non-value added bureaucracy, poor decision-making, or lack of adoption overall. Successfully implementing this software requires careful analyzation of several different variables, and a clear plan in place. While the implementation process is different for everyone, there are a few best practices that should be followed to increase chances of success. One of the biggest strengths of Primavera has to do with the many ways in which you can customize it to meet your needs. If you’re trying to implement Primavera using nothing but default functionality, you’re already doing it wrong. For this reason, one of the major tactics that you’ll want to use for successful Oracle Primavera implementation involves a careful review of the ways in which you do business now. For example, before implementing Primavera P6, take a look at the security profiles that your existing software solutions and network use, along with both the enterprise project structure that you’re working with and the work breakdown structure that you had planned on using moving forward. By carefully reviewing all of these aspects, you’ll have a better idea of the project and activity coding structures that you’ll need to use within Primavera, as well as the ways in which resources will be utilized as work begins on a project in earnest. Because one of the strengths of Oracle Primavera is the ease at which it integrates into your existing solutions, one of the key tactics that you’ll want to use moving forward naturally involves reviewing your current environments to get an idea of the system configurations that you’ll be using. Remember that just because Oracle Primavera is built to integrate with your existing solutions, doesn’t necessarily mean that it’s as easy as pressing a button. Different organizations use different programs in slightly varying ways, so you’ll want to take the specifics of your team into consideration before you proceed. To do this, make sure that you perform a technical review of things like your web application server, your database server, and even the desktop clients that you’re currently using to do the lion’s share of your work. Then, use this information to determine the best system configurations for the various Primavera modules like the Web Access and Compression Server, Project Management, and others for the best possible results. Above all, the most important thing to do to prepare for implementing Primavera P6 is to learn the fundamentals of the software. Despite its user-friendly setup, mastering the fundamentals of the software can make implementation significantly less challenging, and increase your overall ROI. The best way to do this is by enrolling in a Primavera training course. A Primavera training course can help you develop the skills that you need to handle any challenges that you face during the life cycle of a project, regardless of how involved or how large that project happens to be. Not only will you learn how to effectively use all the Primavera P6 features, but you’ll be doing so in a hands-on environment that allows you to leverage best practices to your advantage and create the types of methodologies that you, your team, and your clients will benefit from on a daily basis. Oracle Primavera P6 is one of the most powerful and comprehensive project management tools available on the market today. Tools and features in Primavera P6 help all project management team members and staff understand the needs and activities of your project. Primavera P6 helps project managers identify and mitigate risks throughout the project by identifying early warning signs. A basic Primavera training course is one of the best ways to get the most out of your investment in this solution in the first place.